The .KKK File Virus is a new iteration of the Hidden Tear family of malware that encrypts user data and renames it with the .KKK extension. Our complete removal guide shows how victims can restore their computers and recover all affected files. How Does .KKK File Virus Infiltrate the System? .KKK file virus can be distributed using all methods associated with Hidden Tear viruses identified so far. Most of them use spam email messages via hacked servers and false identities. 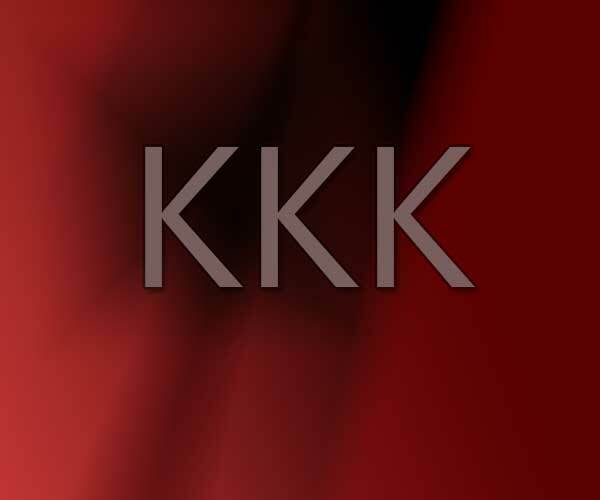 Social engineering tricks are employed that persuade the victims into downloading attachments or clicking on links that lead to the .KKK file virus encryption. Different templates that imitate legitimate companies or government institutions are created to fool the recipients. Direct hacker attacks are another possible source of .KKK file virus intrusions. The hackers seek out outdated software installations and exploit the found weaknesses. They may install other malware as well on the compromised machines – browser hijackers, trojans and viruses. Hacker-operated malicious web script redirects, ad engines and sites can also lead to a virus infection. All computer users should be careful when browsing sites that have names resembling legitimate download sources. Such download portals can host the .KKK file virus binary files under counterfeit names. The hackers can also bundle the .KKK ransomware in software installers or office documents. In such cases the infection is done by the user via interaction with the dangerous file. Browser hijackers are another possible source of infections. They are malicious web browse addons that pose as useful functionality improvements and are built for the most popular applications: Mozilla Firefox, Safari, Google Chrome, Microsoft Edge and Internet Explorer. Upon infection with them they change the default search engine, new tabs page and home page to point to a hacker-specified address. Other malicious actions include the gathering of personal data: browsing history, cookies, stored passwords and account credentials, settings and bookmarks. Exploit kits such as RIG and Sundown are also used by the criminals to spread the .KKK file virus. Security researchers identified a new iteration of the Hidden Tear malware family known as the .KKK file virus. It has received its name due to the .kkk extension that is used to mark the encrypted files. The .KKK file virus is a standard ransomware that launches its processing module after the infection has been complete. The collected .KKK file virus samples process only files located on the user’s desktop. This is done according to a predefined list of file type extensions. Further versions can be modified to include all connected removable storage devices, networks shares and all mounted drives. Once the process is complete the .kkk file extension is used to mark all processed files. Future versions can specify specific file type extensions based on a predefined list. In most cases the hackers behind the malware threats, including other Hidden Tear variants like the .KKK file virus, seek to encrypt commonly used data. Examples include: documents, backups, archives, music, photos, videos, databases, backups and etc. You are infected by KKK Ransomware. You are infected with Ransomware. Ransomware steals your files and holds them for ransom. You can decrypt your files by refering to the Payment tab on the main form. The “Payment” tab features the requested ransomware sum of 0.05 Bitcoins which is the equivalent of 140 US Dollars. Pay 0.05 bitcoins to the address below. A countdown timer has also been found on some of the .KKK file virus instances. WARNING! Manual removal of .KKK File Virus requires being familiar with system files and registries. Removing important data accidentally can lead to permanent system damage. If you don’t feel comfortable with manual instructions, download a powerful anti-malware tool that will scan your system for malware and clean it safely for you. WARNING! All files and objects associated with .KKK File Virus should be removed from the infected PC before any data recovery attempts. Otherwise the virus may encrypt restored files. Furthermore, a backup of all encrypted files stored on external media is highly recommendable.